Originally from Kingston, Jamaica, Shara McCallum is the author of four books of poetry: The Face of Water: New and Selected Poems (Peepal Tree Press, UK, 2011), This Strange Land (Alice James Books, 2011), a finalist for the 2012 OCM Bocas Prize for Caribbean Literature, Song of Thieves (University of Pittsburgh Press, 2003), and The Water Between Us (University of Pittsburgh Press, 1999), winner of the 1998 Agnes Lynch Starrett Prize for Poetry. Her poems have appeared in journals in the US, the UK, the Caribbean, Latin America, and Israel, have been reprinted in textbooks and anthologies of American, African American, Caribbean, and World Literatures, and have been translated into Spanish and Romanian. Her personal essays have been published in The Antioch Review, Creative Nonfiction, Witness, and elsewhere. For her poetry, she has been awarded fellowships from the National Endowment for the Arts, Cave Canem, and the Sewanee Writers’ Conference, individual artist grants from the Tennessee Arts Commission and the Barbara Deming Memorial Fund, the Agnes Lynch Starrett Poetry Prize, an international writers residency at the Heinrich Boll Cottage (Ireland), and an Academy of American Poets Prize. McCallum has served as permanent faculty in the MFA program at the University of Memphis and the Stonecoast Low-Residency MFA program at the University of Southern Maine, as a Visiting Professor at the University of West Indies, Cave Hill, Barbados, and as visiting faculty for the Drew Low-Residency MFA Program, the Catskill Poetry Workshop, the West Virginia Writers Workshop, the Frost Place, Writers at the Beach, and the Chautauqua Writer’s Center. 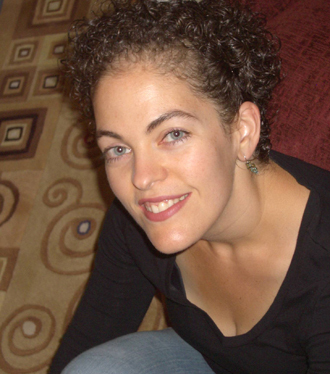 Currently, she is Director of the Stadler Center for Poetry and Professor of English at Bucknell University.